Sending text messages — or iMessages, SMS, and MMS messages — is one of the main things people want their smartphones to do, even more so than making phone calls. For many, it’s the primary way they stay in touch with friends and family. We send dozens of messages in a day with silly jokes, important information, images, and videos. These messages can be forgotten over time, or lost because of a simple mistake. Many of us have accidentally deleted a text conversation, or neglected to back up our smartphones or tablets before an upgrade. The simplest way to preserve text messages is to save them, but doing so isn’t always as straightforward as it sounds. You can’t save a text as easily as an image, but it’s certainly doable — it’ll just take a few more steps. 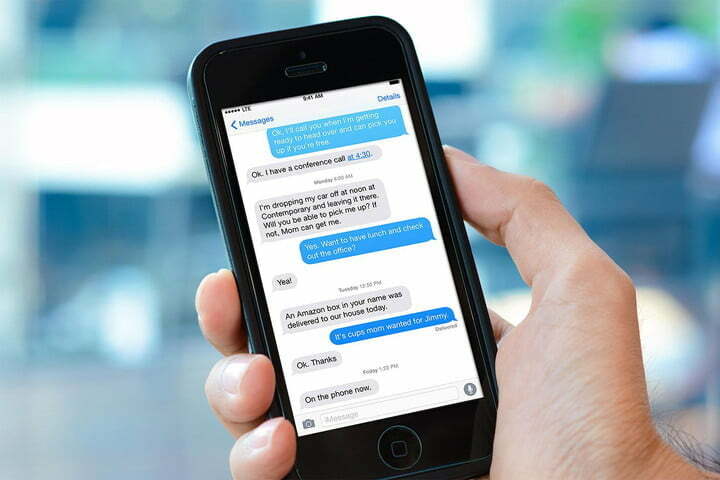 Lucky for you, we’re here to show you how to save text messages in Android and iOS. If you use iMessage check out our guide on how to use iMessage in iOS 10 and iOS 11 or head over to our picks for the 15 best iMessage apps. Before you begin saving text messages, it’s a good idea to install iTunes. Some people aren’t keen on Apple’s music and iOS-syncing program, but it allows you to make a backup of your iPhone or iPad in iTunes. Yes, you can make and save backups using iCloud, but it’ll be easier to get to your texts (and other data) in the future using iTunes. You can download the latest version from here. If you really prefer not to use iTunes, then you can skip the next two steps and go directly to the section on ‘Using just iExplorer’. 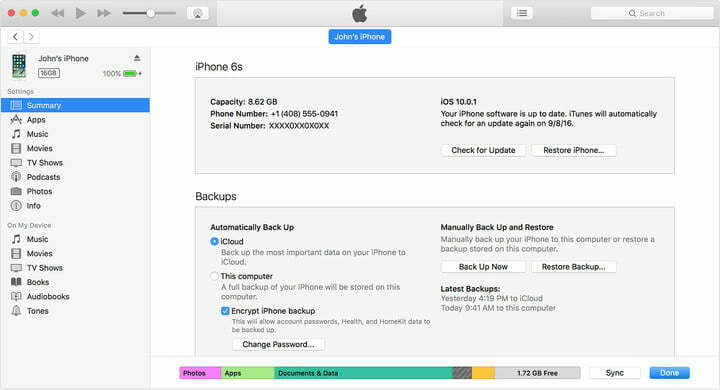 Making an iOS backup will save most of the data stored on your device, including iMessages, SMS messages, and MMS messages. If you haven’t already, make a habit out of creating regular backups. Begin by launching iTunes. Then, connect your iOS device to your computer. In iTunes, select your iOS device by clicking the corresponding icon in the top-left corner of the window. Go to the Summary tab — you should see a section labeled Backups on the right-hand side. Under Manually Back Up and Restore, choose Back Up Now. Once the backup process is done, the Latest Backups sections should be updated to show your most recent backup. Alternatively, you can go to Preferences > Devices (Mac) or Edit > Preferences > Devices (Windows) to confirm that the backup was successful. Your messages are now saved, but that’s only the first part of the process. If you want to be able to access them on your computer whenever you want, then you need some more software. Enter iExplorer, a premium program for MacOS and Windows that can, among other things, sift through your iTunes backups and retrieve your various messages. It’s $40 for the basic version, but you can also use the demo version for a limited time. In iExplorer, find the section labeled Browse iTunes Backups in the left-hand column, and pick the backup you want to pull messages from. 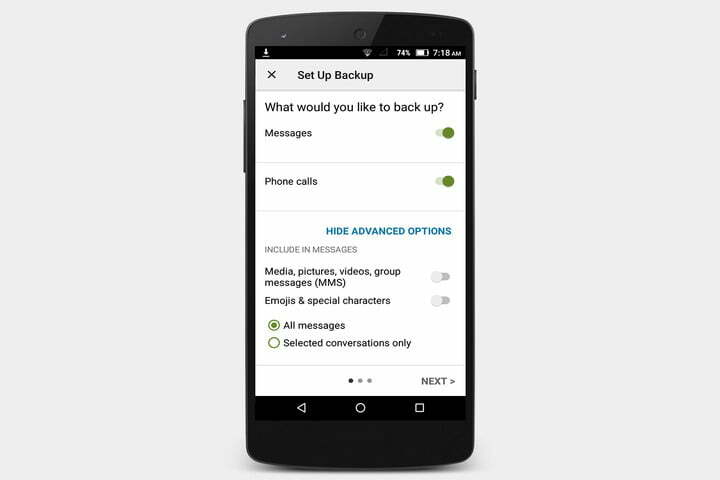 Within that backup, select Messages. While iExplorer can pull texts from an iTunes backup, it can also pull texts directly from your iOS device. It’s perfect for anyone who wants to avoid iTunes as much as possible. Start by downloading and installing iExplorer. Afterward, launch the program and it should open on the Device Overview screen. Next, connect your iPhone or iPad. In the left-hand column, click your device’s name. On the Device Overview screen on the right, click Data > Messages. Keep in mind that if you’ve never made a backup on your computer, you’ll only see an option to Load Backup Data. 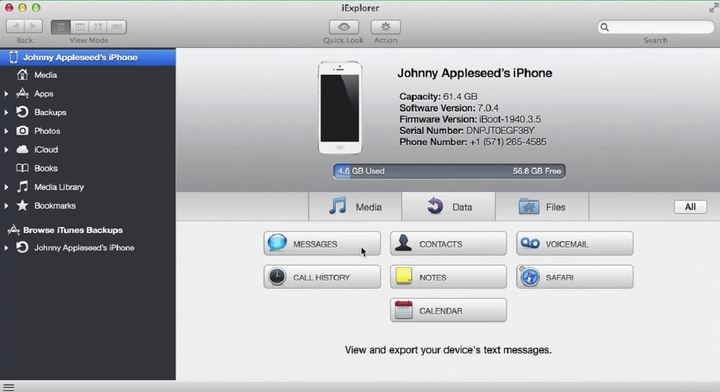 You need to make a backup within iExplorer first before it can access your messages, so click it to begin the process. Once done, continue to the next step. 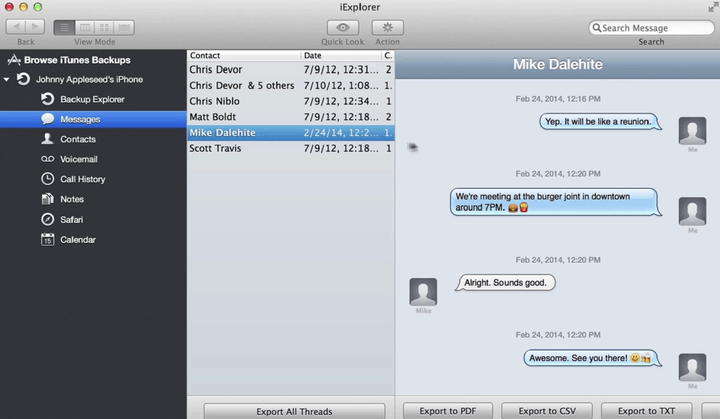 iExplorer will load all of the messages currently on your iOS device. The left-hand column will have a conversation list, and clicking any of the conversations will bring them into view in the right-hand column. You can sort conversations by name, date, or number of messages, as well as filter conversations to show only images, videos, or attachments. You can export entire conversations, including attached media and documents, using the export options below the open conversation. They can be exported as a PDF, TXT, or CSV file. Are you wondering if there are other ways to backup your iPhone? You can try these six iTunes alternatives. 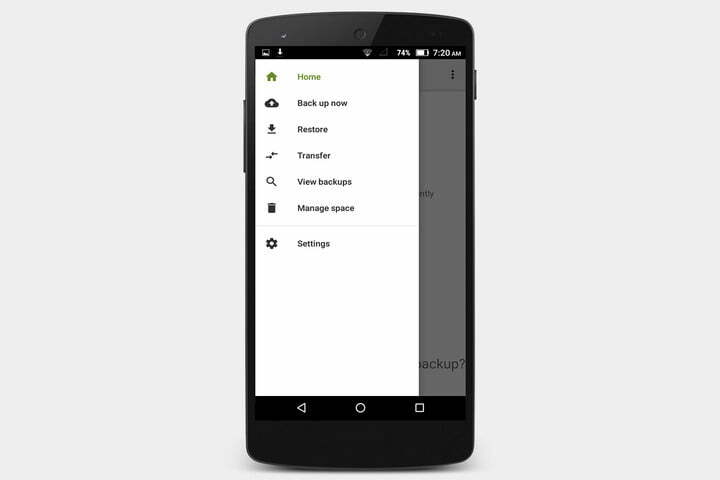 We showed you how to back up your Android smartphone but SMS Backup & Restore is a free app that does what its name implies. It can back up your text messages and save them locally on your Android device, export them to a computer, or upload them to an online storage service such as Google Drive. It’s made to fulfill the needs of people who want to save their messages to multiple places quickly. Your Android device needs to be running Android 4.0.3 or higher, and the app was updated in May, so it’s well supported. Step 1: Start by downloading and installing the app to your Android device. Launch it, and you should be taken to the main menu. Step 2: Tap Set up a backup to begin creating a new backup. From here, you can choose what information you want to save, which text conversations, and where the backups will be stored. There are currently options for saving your texts directly to your phone, Google Drive, or Dropbox. You can also save the emojis attached to the texts, as well as name the backup files so they’re easy to identify. Step 3: If you don’t want to manually save your text messages, you can set a schedule designed to back up your information automatically at specified intervals. You can do this in the app’s settings, which is accessible via the hamburger menu icon in the top-left corner. Step 1: You can view your saved messages by going to the main menu and tapping View Backups, where you’ll be able to access them in XML format. You can also change the local folder they’re saved to in the app’s settings. Step 2: If you’re upgrading to a new smartphone, you can use SMS Backup & Restore to transfer your texts between devices. There are a few ways to do this, including the apps’ own Restore and Transfer features. For more detailed steps, the apps’ developer has a guide explaining how to do this, as well as a lengthy FAQ page that answers any other questions you might have about the app.